Update: event report. Here’s a summary of the week and reflections on our experience. Here is our programme for Open Access Oxford Week, to round off the summer term with daily events across the university. Join us to discuss developments in research dissemination and scholarly communication, policy and practice, all in the context of open access. With a mix of local and visiting speakers, we look forward to welcoming representatives from Research England, the National Institute for Health Research, JISC, Altmetric and the creators of ‘author copyright’ game The Publishing Trap. The REF policy for open access: why and what? Presenter: Claire Fraser (Higher Education Policy Adviser, Research England). The policymaker’s perspective on the implementation of open access publication requirements for REF 2021. 12.30-1.30pm, Weston Library Lecture Theatre. View the slides. Help! I’m an author, get me out of here. 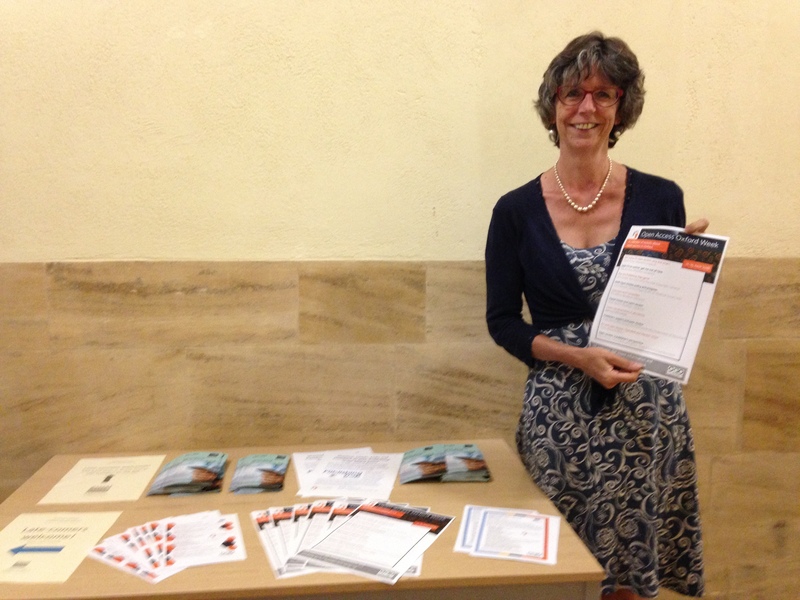 Presenter: Sally Rumsey (Head of Scholarly Communication and Research Data Management, Bodleian Libraries). Calling Oxford authors to share views on evolving research dissemination at this repeat of Sally’s January presentation. 2-3pm, Weston Library Lecture Theatre. View the slides. Play the Publishing Trap game. Presenters: Jane Secker and Chris Morrison (both from UK Copyright Literacy). 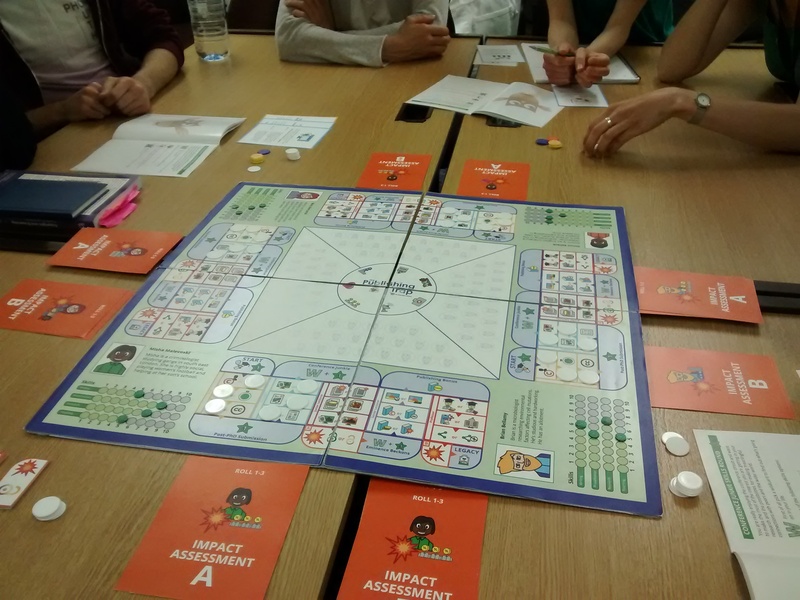 Come prepared to play this educational board game – aimed at early career researchers and academics – exploring the impact of scholarly communications choices, with its copyright expert creators. 11.30am-1pm, Radcliffe Science Library (Group Study Room). NIHR Open Access policy and progress. Presenter: Justin Riordan-Jones (Head of Systems and Information (Research), Department of Health & Social Care). An overview of OA policy and practicalities from the National Institute for Health Research, a major funder of research at Oxford. 2-3pm, Cairns Library (Beeson Room). Openness and humanities. Presenter: Pip Willcox (Head of the Centre for Digital Scholarship, Bodleian Libraries). The long history of openness in humanities. 11.30-12.15, Weston Library Lecture Theatre. View the slides. Digital theses and open access. Presenter: Sarah Barkla (Institutional Repository Librarian, Bodleian Libraries). The benefits of making your doctoral thesis available through ORA. 12.15-1.00pm, Weston Library Lecture Theatre. View the slides. Latest developments in altmetrics. Presenter: Jean Liu (Head of Product Development, Altmetric). Introducing altmetrics and open access, recent developments and tips for using Altmetric data. 2-3pm, Weston Library Lecture Theatre. Publishers, papers and peer review. Social Sciences focus but of interest to all disciplines. Led by Professor Alis Oancea (Oxford University Department of Education). Includes refreshments and lunch. 10.45am-3.45pm, Manor Road Building (Seminar Room G). Programme and slides. Open Access Monitoring Best Practice. For departmental Open Access Contacts involved in supporting and monitoring open access engagement. 1-3pm, University Offices, Wellington Square. To book a place please email the Symplectic helpdesk on symplectic@admin.ox.ac.uk. The EU and open access: OpenAire and Horizon 2020. Presenter: Frank Manista (European Open Science Manager, JISC). The new OpenAire project and its role in supporting European Union open access policy. 11am-12.00, Radcliffe Humanities Building (Seminar Room). Includes refreshments from 10.30am. View the slides: OpenAIRE overview; H2020 OA requirements and practical implementation; OpenAIRE support services & tools for H2020. Open access: a publisher’s perspective. Presenters: Katie Pryce, Lucy Oates, and Alison Jones (Open Access team, Oxford University Press). A publisher’s perspective on the open access landscape, recent industry developments, and the development of open access monograph publishing. Includes refreshments. 1-4pm, Oxford University Press, Great Clarendon Street. If you have questions about the week’s events please contact the OA Enquiry team on openaccess@bodleian.ox.ac.uk.